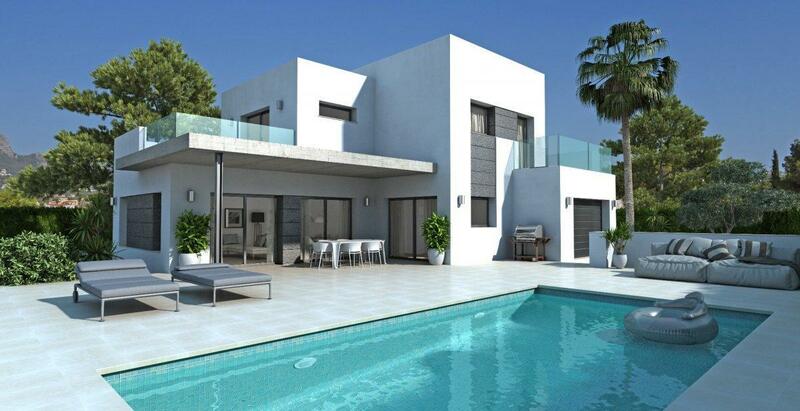 Modern Villa of new construction with swimming pool in Calpe, in a plot of approx. 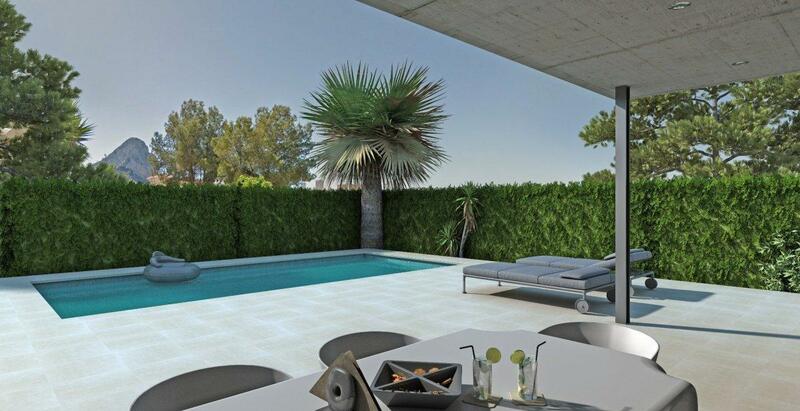 800 m2 where is being built a house of +/-250 m2 of construction on 2 floors, and with a distribution on the ground floor of 2 bedrooms, 1 bathroom, 1 toilet, living room , porch, kitchen open to the living room and the covered porch and to the terrace where the 8x4 pool and garage are located. The upper floor is distributed in 2 bedrooms with 2 bathrooms en suite.